In 1922, Hermann Ackermann and Hermann Schmitt started a company in Stuttgart, Germany to produce and sell their new invention – a hand-held grinding machine featuring an electric motor that drove a flexible shaft. This feature was the inspiration for the tool’s new name – Flex. In the late 1920s, the company’s engineers successfully replaced the flexible shaft with a set of angled gears, creating the world’s first angle grinder. The success of this product was so widespread that “flex” became synonymous with “angle grinder” and the verb “flexen” (meaning “abrasive cutting”) was added to German dictionaries. In 1996 the company officially changed its name from Ackermann + Schmitt to Flex. In 1997 they produced the first long-neck sander for ceiling and walls – the Giraffe. Flex tools today are primarily geared toward the stone, automotive, and metal finishing industries. Their specialist tools are developed in coordination with industry professionals to provide the highest quality solutions and deliver complete customer satisfaction – as their slogan states, “quality tools from professionals for professionals”. The company continuously implements innovative measures that focus on optimising the handling of each tool, increasing the overall comfort and productivity of the end user, and maximising the tool’s lifespan and performance. Flex tools are only available through specialist dealers worldwide. These authorised dealers have the knowledge and training to provide the right professional advice to power tool consumers that demand the highest quality and functionality. The exclusive distributor for Flex tools in Australia is CDK Stone (with the exception of the Giraffe drywall sanders that are sold through Intex). 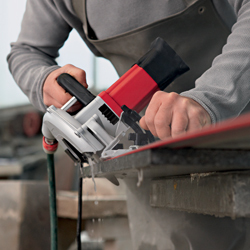 Flex tools are craftsman tools designed for professional use. Flex tools are backed by a 2 year warranty that’s supported by a network of repairers around Australia, but rarely fail due to their high quality. For more information on the company and its products, please see the official Flex website. For product availability and pricing in Australia as well as all other enquiries please visit CDK Stone.